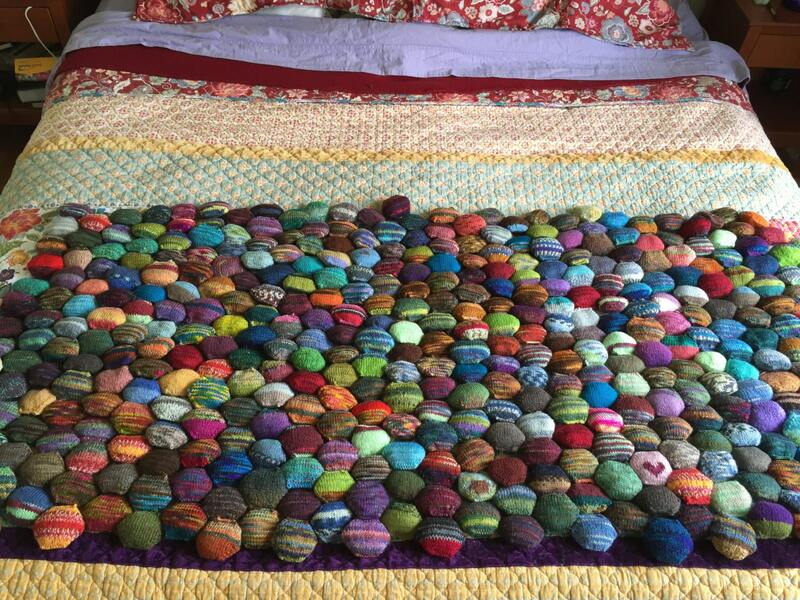 Knit your own Beekeeper Quilt by Tiny Owl! A perfect gift for yourself or a loved one, friend who knits. The finished quilt is a treasured heirloom, as you use up scraps from other projects you preserve a little bit of each memory with each piece. Highly portable and very satisfying for those of us who have only little bits of time here and there to knit. You will receive everything you need to get started on your own quilt. These are the official pattern printed on hard stock (We bought them that way :). No need to worry about your pattern getting crumpled whilst you learn--Besides after about the fourth hexipuff, you'll know it by heart! It's genius that way. --10 handpainted mini skeins, 24 yards each (again, 240 yards total!) *** If you choose the later option, it can take 5-7 extra days to process your order so we can dye the minis. 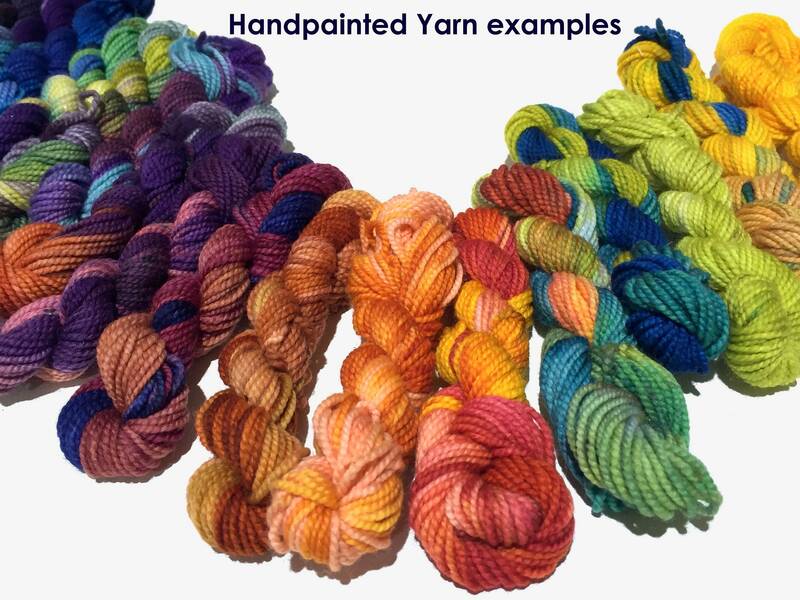 Dyeing them when you order makes it possible for you to express color, finish preferences (like solids, variegated...). 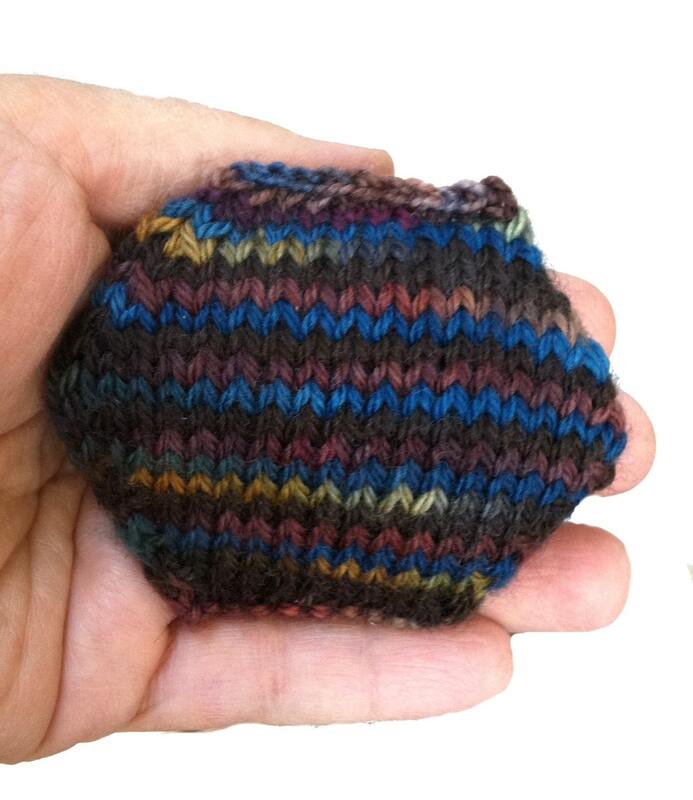 The base for the handpainted yarns is a high twist, 100% Superwash Merino sock weight yarn. 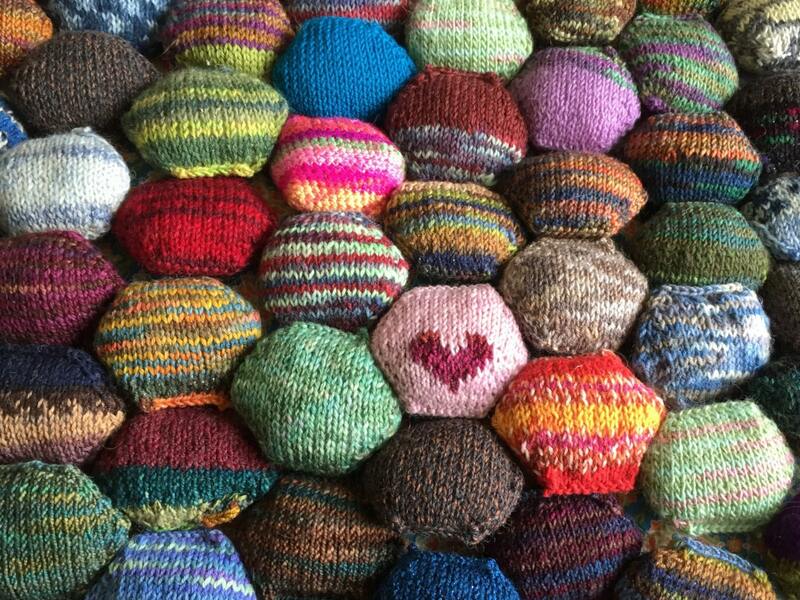 --The skeins and hexipuffs pictured here are just examples. Yours will be uniquely yours given the yarns and colors you choose. --Don't need polyfil? Don't need the needles? Let us know and we will substitute more yarn! 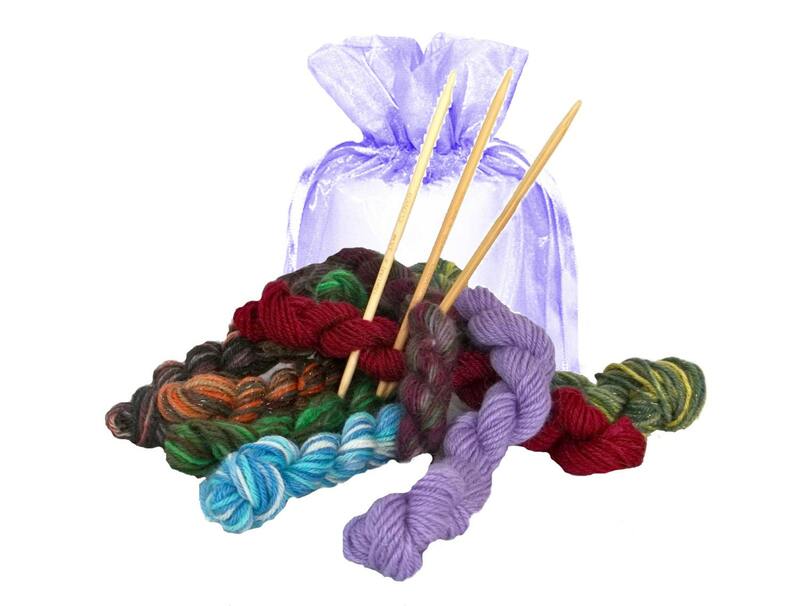 ***Want the ultimate mini skein buy? Here it is-one POUND of minis! Thank you for such quick delivery. Wonderful kit that were given as gifts. Receipients loved them. 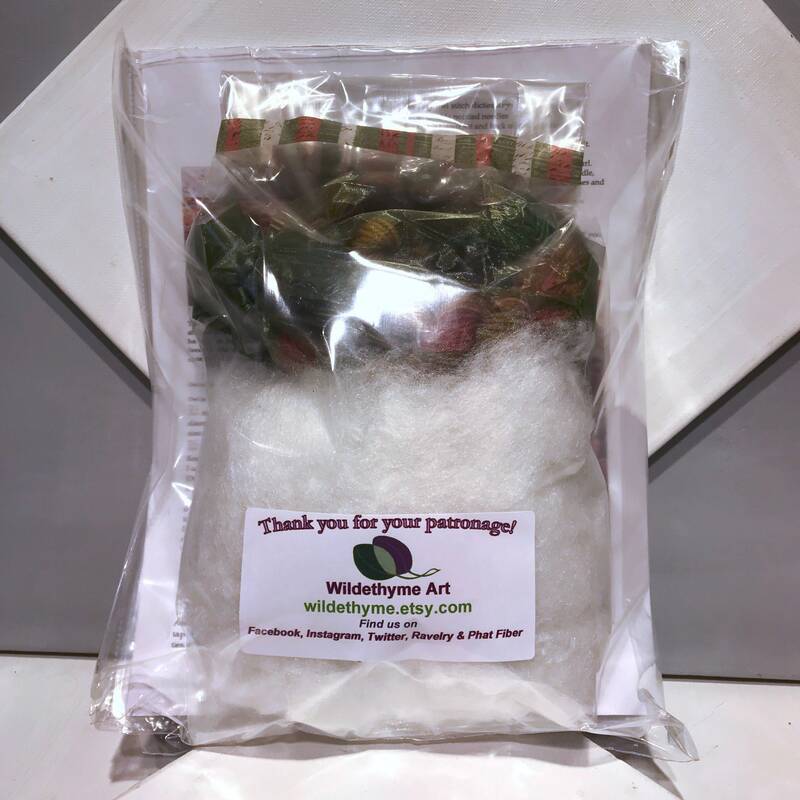 Seller was very prompted in answering questions and shipped quickly during the Christmas season! Thank you! Lovely kit and yarn! Great communication with seller too. Very happy recipient. Wonderful seller! Very responsive to questions and shipped quickly. Kit is nicely packaged and recipients enjoyed them. Thank you! Very quick delivery! There is a lot of black, so not sure if I'll be able to see it. May have to give the black yarn to daughter to knit up for me.